When planning a wedding the invitations may very well be the first step in the planning process. The invitations are the first thing your guests will see when it comes to your big day. Not sure what type of invitations are the best fit to describe your wedding day? Not sure what the hot new trends are for 2017? 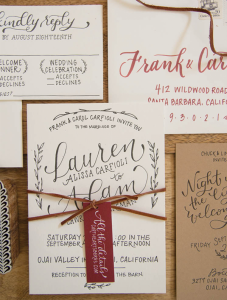 We gathered a list of new styles and trends for you to consider when picking out invitations. Before diving in, it is a great idea to pick an invitation that ties into the theme and look for the big day. 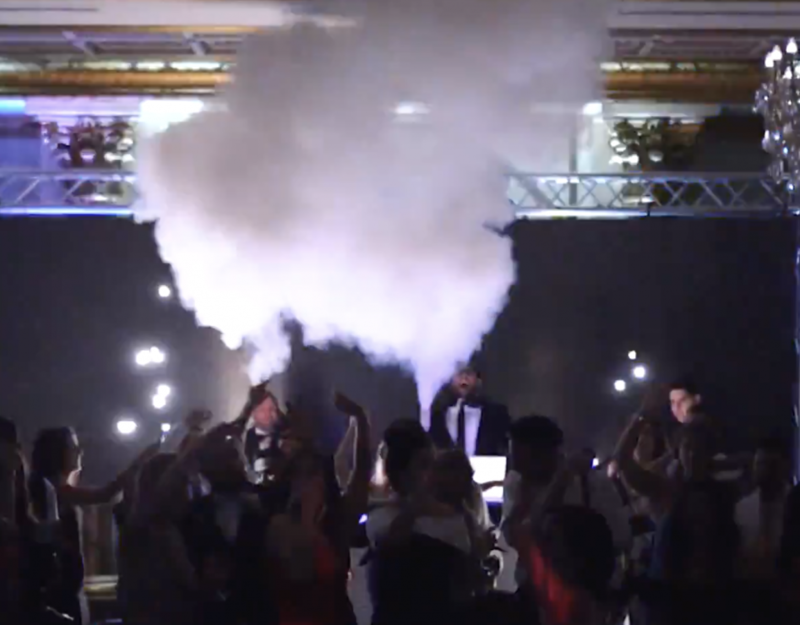 Your guests will know exactly what to expect when attending your wedding day. 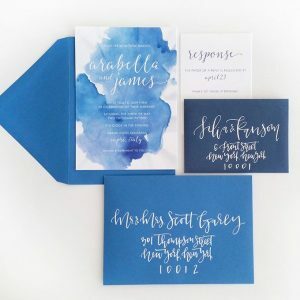 A cool look for your invitations this year is the watercolor style, especially, if having a wedding in the spring and summer months that show vibrant light colors. By adding a pastel of these colors gives off that delicate, romantic feel. It is a great way to give your invitations that extra pop that will draw in anyone’s attention. If patterns and cool art images are not your style try considering a style that comes straight from the hand. Elegant penmanship, calligraphy, and scripted writing express a fancy and most classy look. This type of invitation focuses on the letters, dates, and names rather than distracting images or drawings. 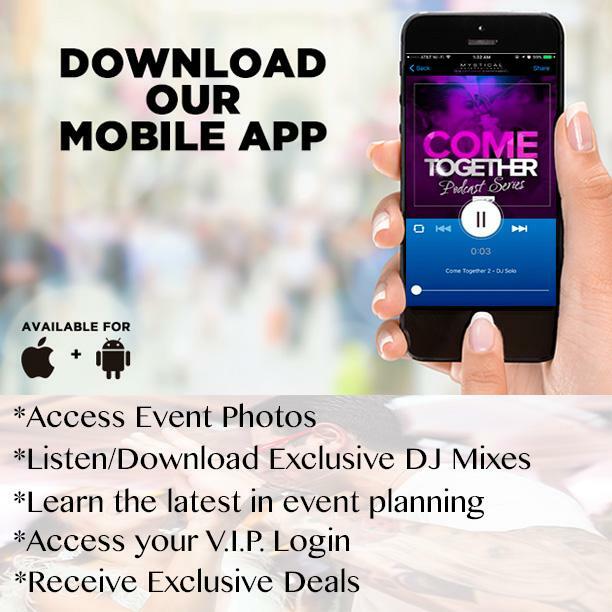 Your guests are more than sure to remember that date to attend. For 2017 spring and summer weddings a popular style that has been emerging on the wedding planning scene is floral designs. Showing bright colors such as hot pinks, purples, and greens. This type of style is a great look for vintage themed weddings. 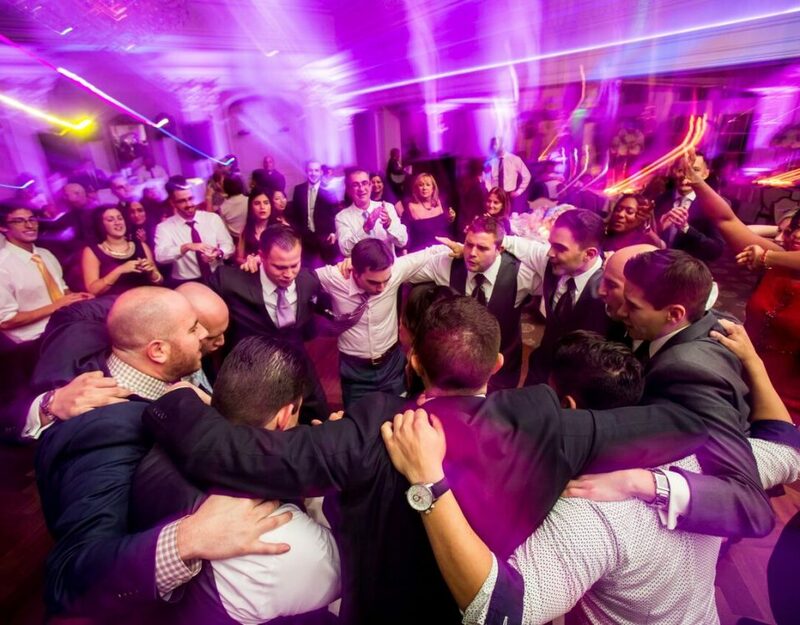 If having a peaceful outside wedding with close family and friends this can convey the main essence of what is to be expected during the day you tie the knot with your significant other. Have fun with the colors, do what expresses your personality the most! If bright colors and spring-like vivid colors are not your thing, try picking colors that suit you more, such as darker tones. 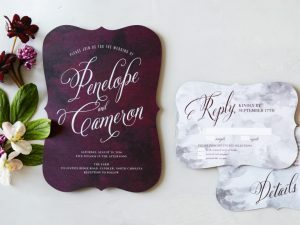 A bold and moody palette may include dark navy, deep purples and plums for example can definitely pop up the writing in your invitations a lot more. These jewel tones can be the best match for fall and winter weddings. An invitation style sure to give off a luxurious feel and classier look is using foil pressed colors that are timeless, such as gold, silver, and bronze. These invitations will catch anyone’s eye right off the bat. Gold, silver, and bronze are described to look very metallic and shiny. If you’re more of a flashy person then these invitations will be the best look for you. 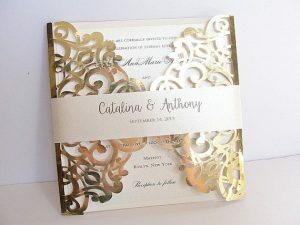 When guests open up your invitations in the mail they will be impressed by the glamorous style and are bound to be happy that they received such a pretty invitation. 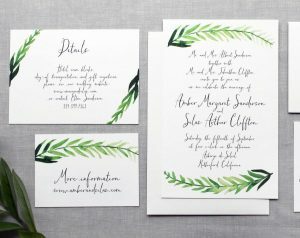 Probably the most popular trend that will be seen this wedding season is the use of bright greens that express that casual garden-like feel. If you’re more of a simple and casual person, this is a look you should consider. 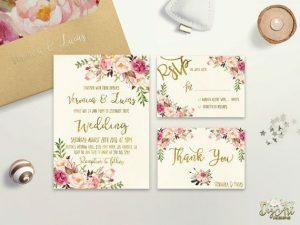 This type of invitation would be the best fit if having a wedding outdoors, in a park, in a gorgeous garden or even in your own backyard with bright leaves blooming to give off that garden, barnlike atmosphere. 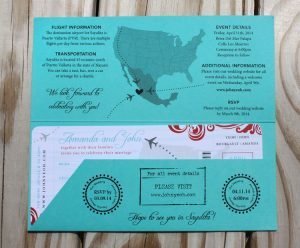 If having a destination wedding, an awesome style to incorporate into your wedding invitations is to include a map of the area of where your wedding will be located. The map can also show various things to do around the area such as local restaurants and shops. Make sure to send out these invitations well ahead of time so your guests have time to make travel arrangements. This can build up the anticipation to make your guests excited and eager to attend your destination wedding. Choosing any of these invitations are a great look for a 2017 wedding. Find one that fits the style of the wedding day and will be the best choice. 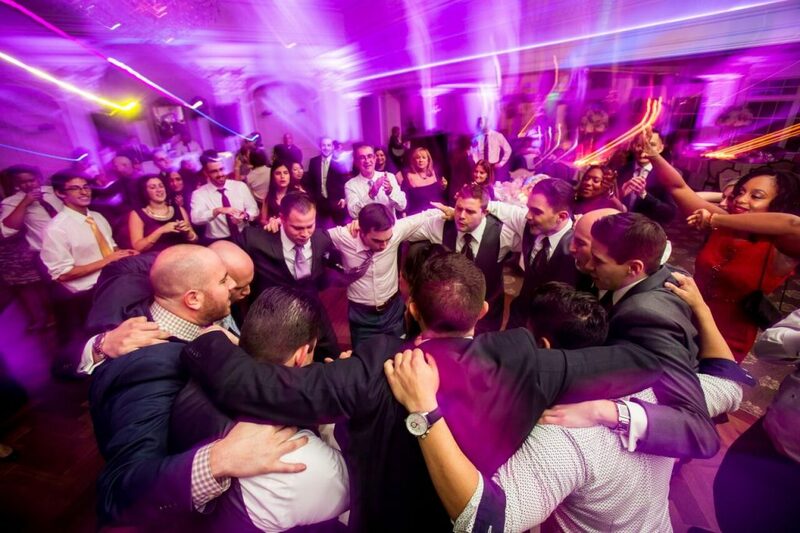 Your guests will surely be more than excited to attend the most important day of your life. After the wedding make sure to send out thank you cards to all guests that attended to show your appreciation that they came out to celebrate with you. Just remember that this is an exciting time, so have fun with it and express what is most meaningful to you!